"Did you know there are three ways to kill a Hive god? How many ways do you suppose there are to resurrect one? Get out there!" 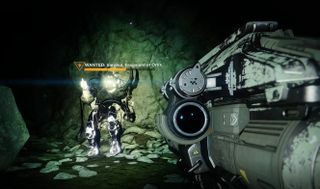 Varghul, Fragment of Oryx is a Taken Knight encountered in the Cavern of Souls Lost Sector. It is located under The Sludge in the EDZ.